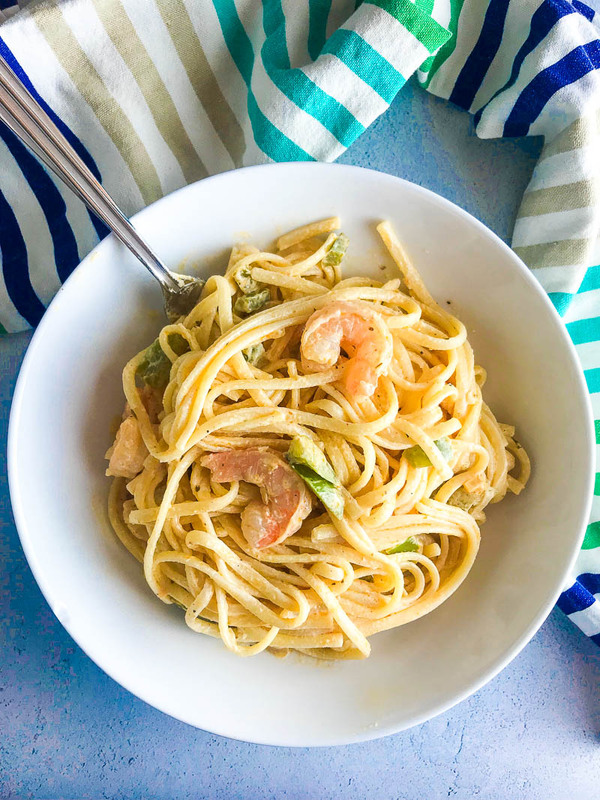 Cajun Shrimp Pasta is a decadent pasta with shrimp sautéed in a creamy sauce and tossed with pasta. Great for date night or any day you want to indulge. 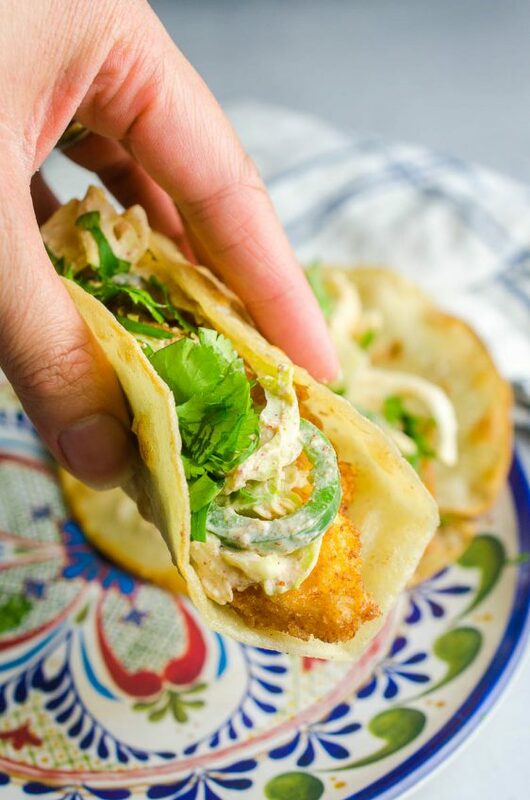 If you’ve checked out my shrimp tacos or many of the other shrimp recipes I’ve got on the blog, you know that we LOVE shrimp around here. I am always a sucker for a creamy, indulgent pasta. 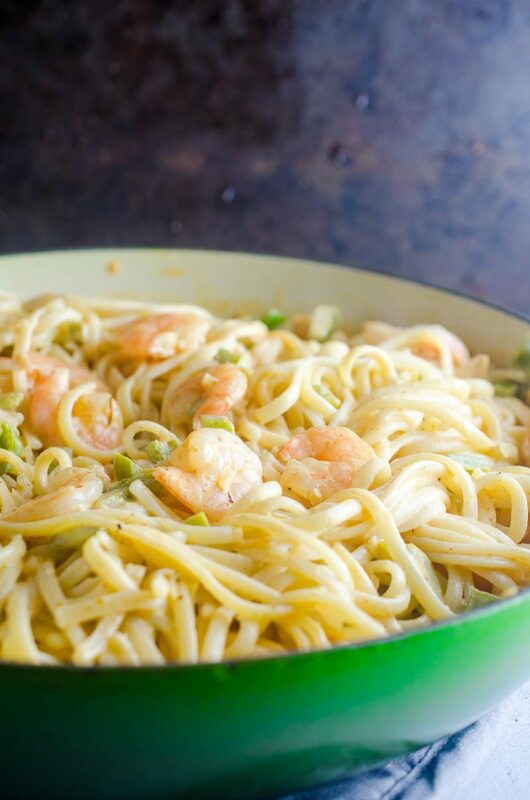 And that is exactly what this Cajun Shrimp Pasta. 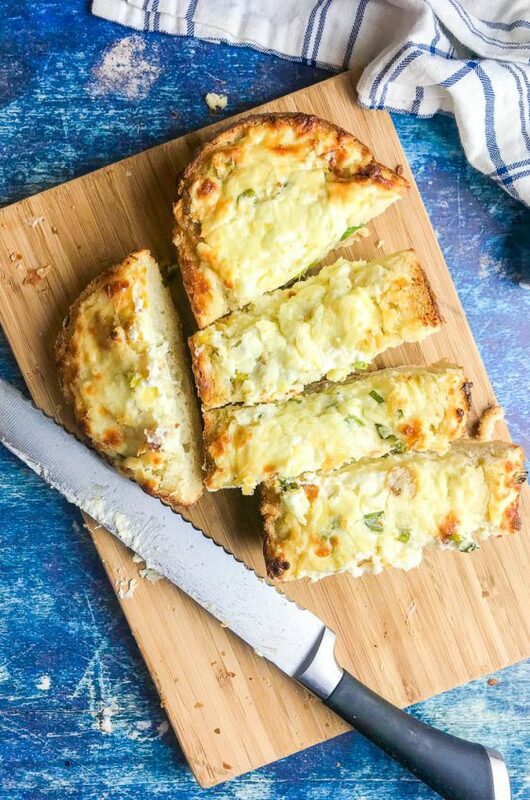 Its creamy, carb-y heaven on a plate. And you’re going to love it. Recently I was craving something creamy with just a little kick to it and I always have some pasta in the pantry, so I thought I would indulge myself . The result of my indulgence you ask? 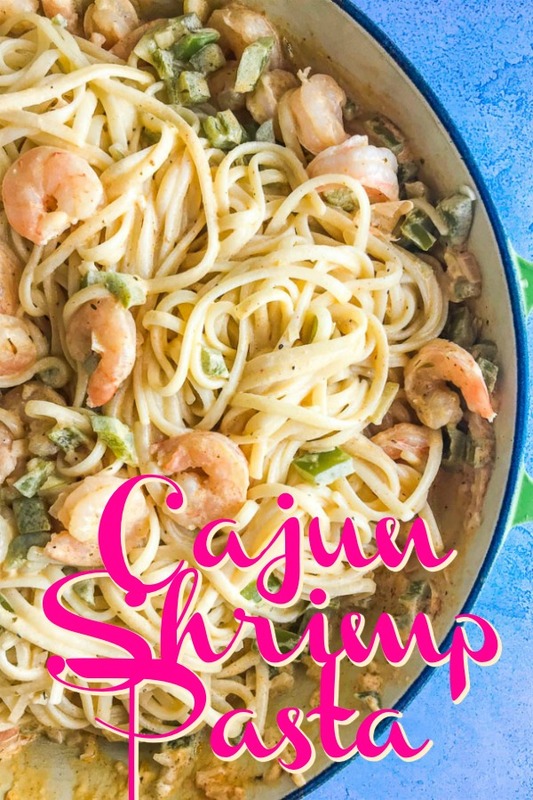 This recipe for Cajun Shrimp Pasta. 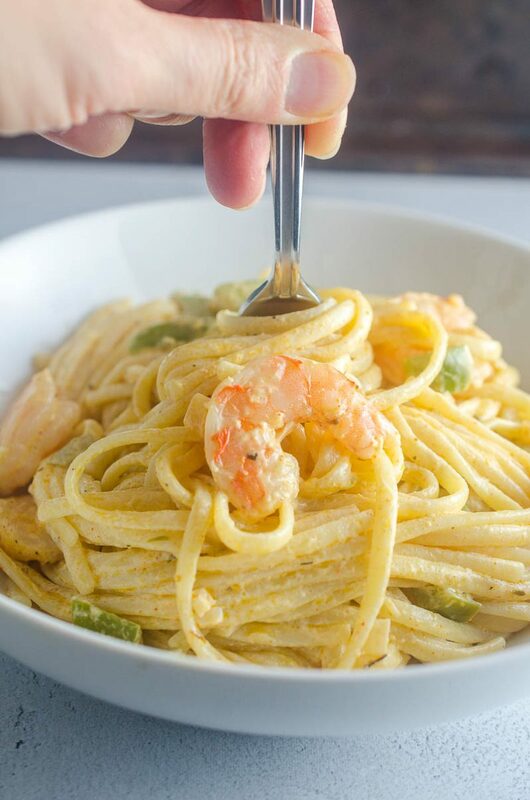 Succulent shrimp are simmered in a creamy Cajun sauce with shallots and bell peppers before tossing the mixture with fettuccine. 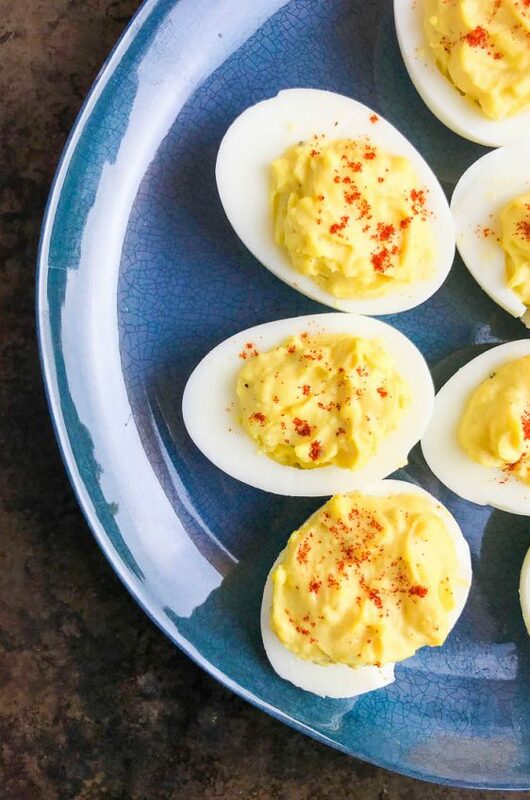 Rich and Creamy, Cajun-y goodness! Who could resist? 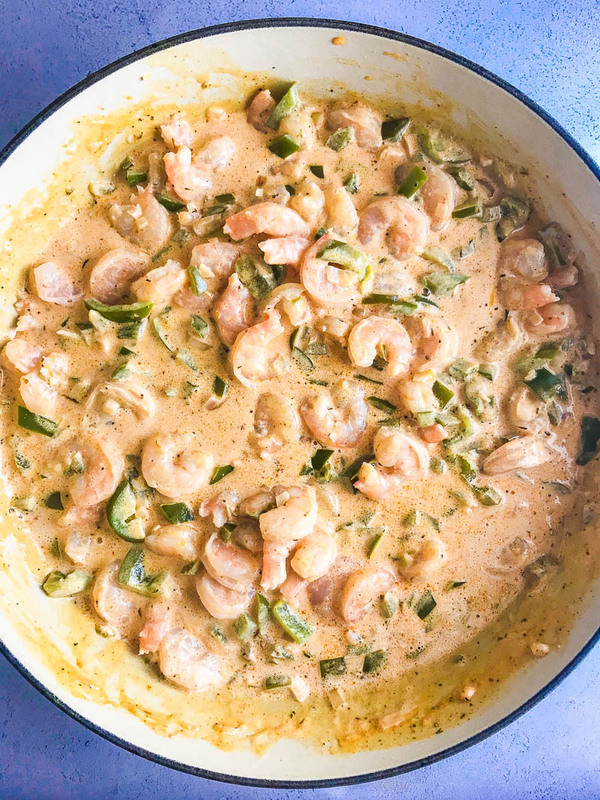 But first, since I tend to get some questions on this, let’s talk a little bit about shrimp. How do pick the right size shrimp? Shrimp is usually sold by the number it takes to make one pound. When shopping for shrimp you will see numbers like 31/40, 51-60, U- 10. 31/40 means there are 31 to 40 shrimp per pound. 51 to 60 means there are 51 to 60 shrimp per pound and U- 10 means that there are under 10 shrimp in a pound. When I make pastas, I like to use smaller shrimp, usually 51 – 60. I like to use this so that once I toss the pasta there is more shrimp throughout the entire dish. More often than not, I will use frozen shrimp when I am cooking. But frozen shrimp should always be thawed first. To thaw frozen shrimp, simply put it in a colander underneath cool (not hot) running water for several minutes. Then pat the shrimp dry and they will be good to go. You can also place the shrimp in a bag (or use the bag it comes in if it comes in one) and submerge it under cool water. This method may take longer but you won’t need to continually run water. Please, friends, always devein your shrimp before cooking. If you want to make things easier, which I tend to do, buy E-Z peel shrimp. 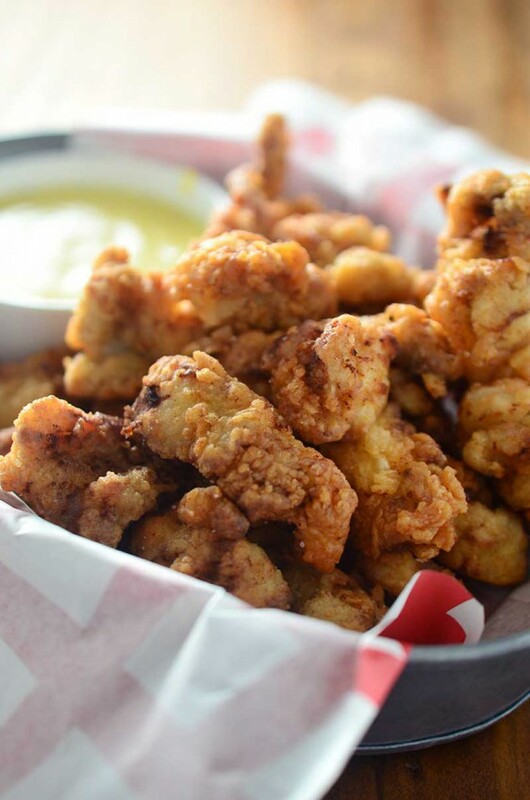 These shrimp are already spilt and deveined so you don’t need to do it. If you buy shrimp that isn’t deveined don’t worry, it is pretty easy to do. Simply use a pairing knife to cut a slit down the back of the shrimp and move the black vein that runs down the back. It is creamy. It has a little kick. It’s decadent and indulgent. And, quite honestly, one of my favorite ways to enjoy pasta. I do use a cajun seasoning blend to give it that kick. You can find them pretty easily in your local grocery store, it might be called blackened seasoning as well. You can also make your own. 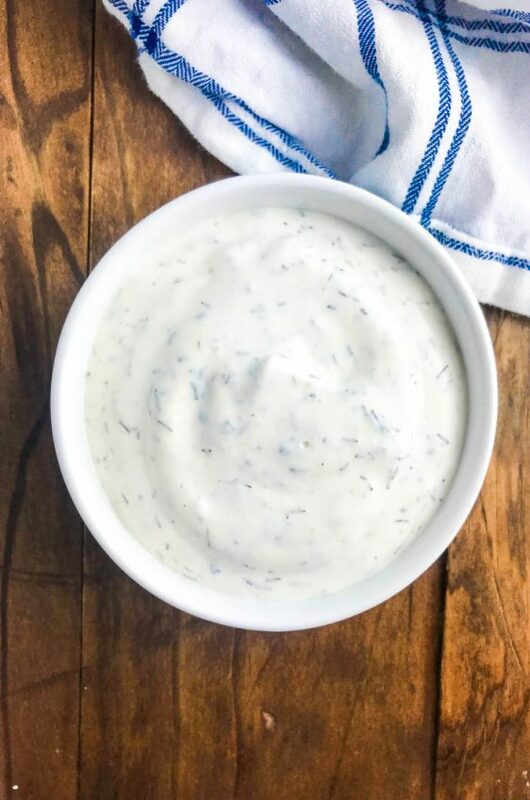 For the creaminess, I use heavy cream and sour cream. I like the extra tanginess that the sour cream adds. For the pasta part, you can pick any pasta you like for the most part. Keep in mind that you will want a pasta that can handle a heavier sauce so I would skip angel hair. Linguine or fettuccine work fabulously. 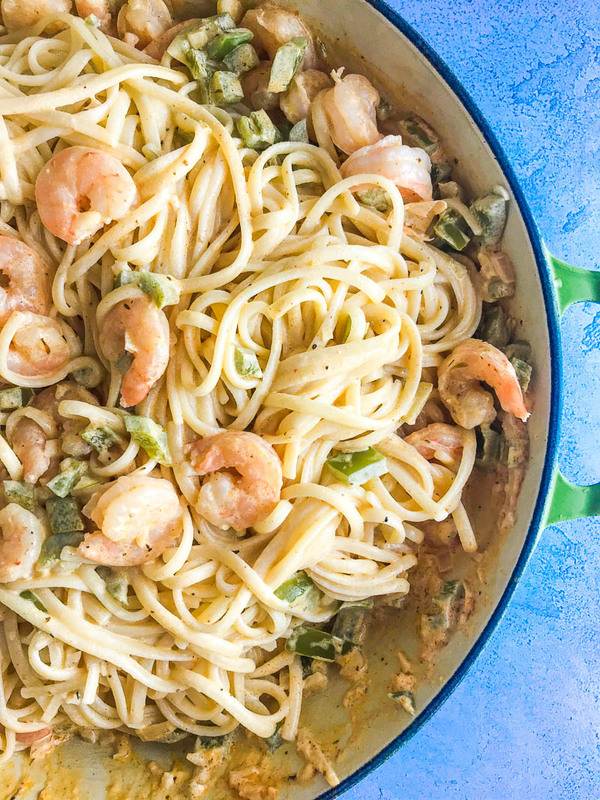 This Cajun Shrimp Pasta is easy enough to make on a weeknight and fancy enough to make for a date night at home. A little salad and wine and you are good to go. Note: Originally posted 2009. Photos updated 2018. Start the water for your pasta and cook according to package directions. Meanwhile, heat olive oil and butter in a large pan over medium heat. Once butter has melted add garlic, shallots and bell pepper. Cook until slightly softened, the bell peppers will still be a bit crunchy, about 3 minutes. Reduce heat to medium-low. Add heavy cream, sour cream and Cajun seasoning to pan. Stir to combine and cook until warmed through about 3 minutes. Add shrimp and cook for 5-6 minutes or until the shrimp are pink. Once your pasta is finished cooking, strain and add to sauce, toss to combine. Let stand 5 minutes, toss once more. Serve. This is the only thing I can think about now. I know what is getting made for dinner tonight! mmm..pasta and shrimp is my favorite!! I can’t wait to try this!! It looks incredibly delicious! 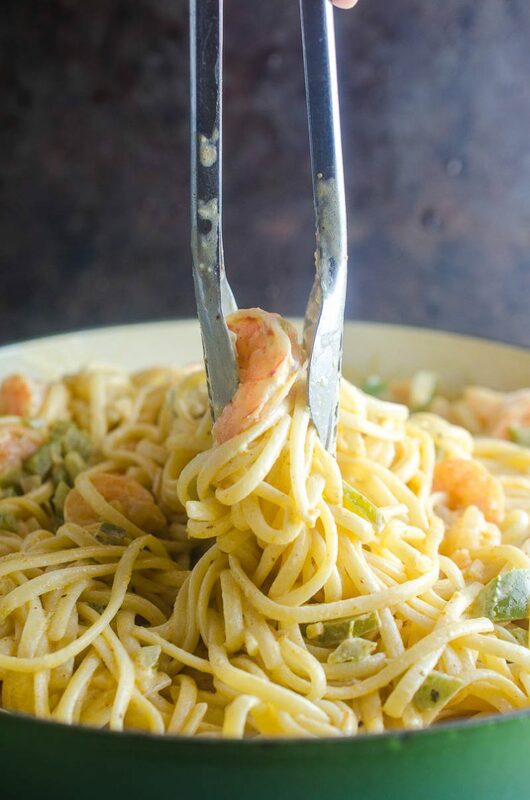 Pasta and shrimp, what a combination! Looks delicious!! That looks spectacular! I would love to try this, combinations of those flavors are amazing! I will always love this combination! This looks fantastic! This will be a huge hit for sure! I cannot wait to eat it! I’m all about some pasta! Looks delicious. So creamy and delicious! Love all the flavor! Oh my goodness! This pasta looks absolutely amazing! I wish I had a bowl right now! 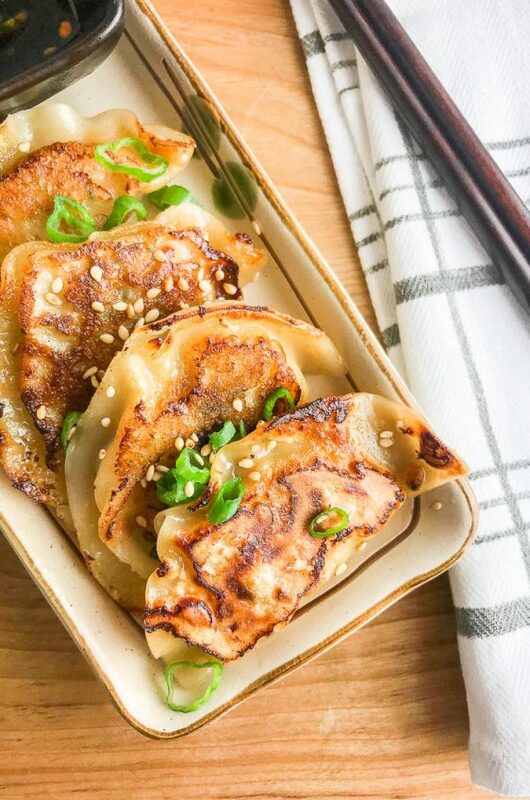 I always order this when we go out so this will be perfect for a date night in! I have made a lot of cajun pasta in my day. This is by far the BEST! I will definately be making again!